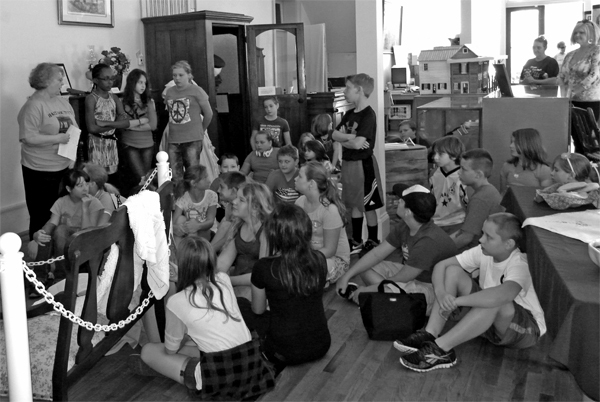 Hart County Historical Society works with local agencies such as Hart County Schools and home schoolers, out-of-state schools, Munfordville Tourism, Chamber of Commerce and others. Black History Days honor Hart County's native black sons and daughters. Society volunteers participate in leadership programs, Civil War Days and annual events and festivals. They also give informational tours of the Battlefield. Many university students use our library for assigned academic projects. We publish a Quarterly four times per year that relates local history, genealogy and stories. The Quarterly is mailed for free to our Society members. Click here to become a member. Speakers at quarterly meetings educate the audience on various topics of local interest.